This structure would be a stable truss even though it’s not made entirely of triangles. 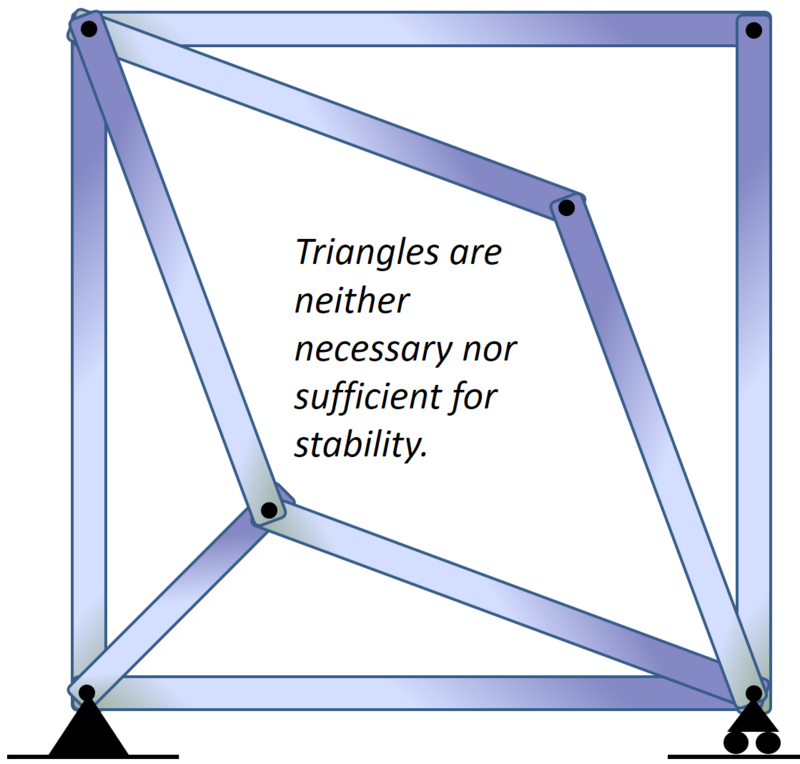 I’ve shared my undergrad lecture slides on “myths in truss analysis” so often that I’m making my life easier by now sharing them more broadly: http://csm.mech.utah.edu/TrussMythsAndTrussExamples.pptx. Please let me know if you see errors! This entry was posted in General Tutorials, Tutorials and tagged mechanics, stablity, truss. Bookmark the permalink.